​The Polish Lowland Sheepdog is a herding breed that traditionally works with sheep. They are a gentle herder, controlling its flock with shoulder nudges and an intense stare known as the 'sheepdog eye'. The Polish Lowland Sheepdog has existed in the Polish lowlands since at least 16th century. They are an ancient breed, thought to descend from the Puli and other European long coated mountain herders. 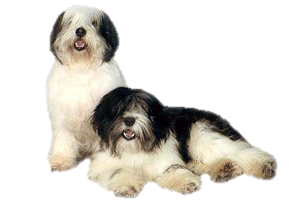 It is likely they are the ancestor to the Bearded Collie, Old English Sheepdog and Schapendoes. WWII came close to exterminating the breed, but it was revived by Dr. Danuta Hrzniewicz. Is the Polish Lowland Sheepdog Right for You?